Children are required to master the foundations of basic concepts to learn the fundamentals of academic subject areas. For example, the child must understand the concept of quantity (e.g., more, less, equal, all) to do mathematical computations and must know basic reading concepts (e.g., reading left to right, top to bottom, beginning, end) to learn how to read and write (Busch, 1980). Many concepts are used in daily classroom instructions by teachers—e.g., temporal direction: “Before you start writing, read the first paragraph on page 13.” Children who do not master these basic concepts will have difficulty following classroom instructions (Vernon, 1962). Children learn concepts by listening to adults, reading, and following commands. There are five major types of concepts. These are spatial (location), temporal (time), quantity (number), quality (description), and social-emotional (feelings). Magical Concepts is an app for the iPhone and iPad. It was created by a certified speech-language pathologist who wanted to make "drilling" with flashcards fun and motivating. This engaging, colorful app includes over 2000 photos accompanied by audio instructions. Children are welcomed by Mago the Magician, who encourages them to work hard. 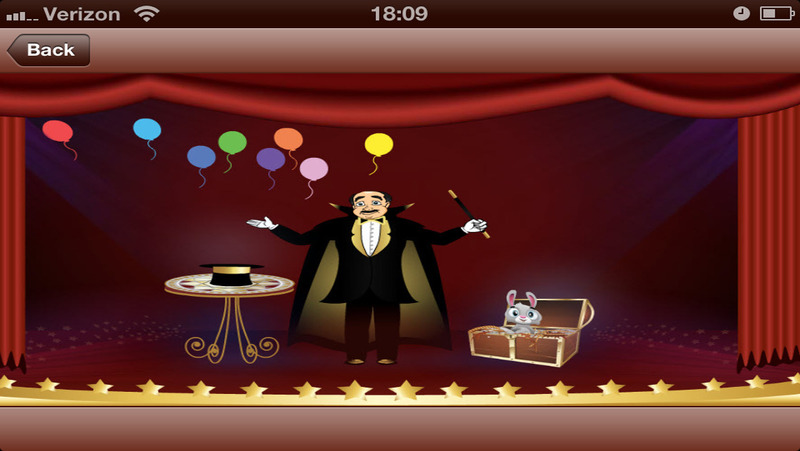 Children earn stars for each correct response, and when they accumulate enough stars, they are rewarded with a magic show. being. Methods of Heuristic, 9, 19–36.